In tribute to the British wolf, persecuted and hunted to extinction by 1680. “It has been said that the last wild wolf living in Britain was shot dead by Sir Ewen Cameron of Lochielin in 1680, near the village of Killiecrankie in the Scottish Highlands”. The idea for ‘The last wolf of Scotland’ came from my realisation that I had become bored of drawing twee countryside imagery just for commercial reasons, and wanted to go back to creating art with more edge or that made a point. Because of this reason I began making imagery that was much more experimental, and started looking back at the punk rock protest art I was making back in my early 20s. 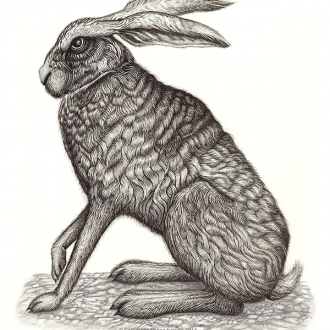 However in doing this, even though I was feeling much more fulfilled doing the art I wanted to do, rather than just producing work to try and appeal to a buyer, I later realised that probably my favourite drawing and possibly my most successful image in recent years was ‘The silver hare‘. Even though it was a picture of countryside animal, it appealed to me more than the other animal illustrations because it seemed to have a darker edge and a striking stylised appearance which most of the others didn’t have. I think this may have been because it was quite heavily influenced by Victorian engravings and mezzotints, which often had quite a gothic feel about them. In realising the popular appeal of this image and the fact that I also really liked it, I discovered that I had found the bridge between commercial interest and creating the art that I feel passionate about, two things that had always been in conflict with each other. So I decided to create more creatures in this style. As I mentioned before, I want to not only make images I like, but I am also looking to find a way for it to communicate something or make a point, a bit like the political statement art I use to paint on my punk jackets, but maybe with not such an overtly obvious message. Ive always felt angry and guilty that as a species, we humans either intentionally or unintentionally ruin the earth for all other species on the planet. 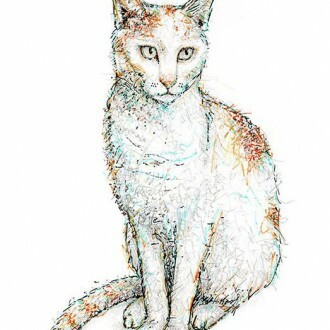 And considering my subject matter is wildlife, I want to somehow subtlely incorporate this feeling I have into my art. 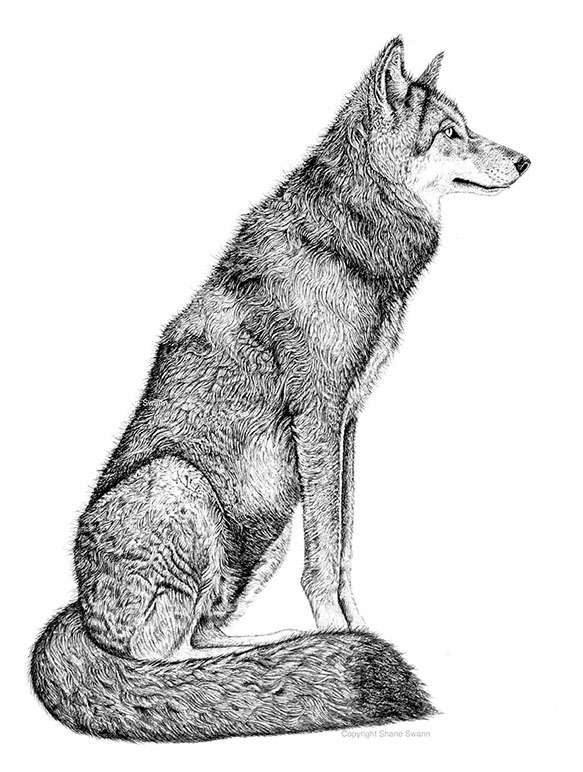 So I have decided to create a series of black and white, side profile animals, that all have the same thing in common- they were all once thriving native creatures of the British Isle, which due to human activity have now become extinct from this part of the world, the wolf being one of many. The British brown bear is my next project. 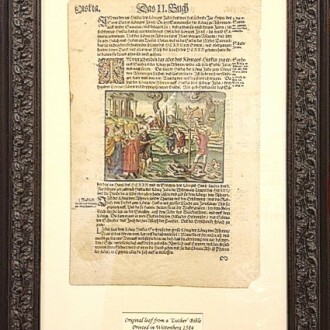 Framing of an ancient Bible page.